TangoAmadeus in a non-profit-organisation aiming to demonstrate and promote the various aspects of Argentine Tango in Austria. This not only includes the dance itself, but also its social and cultural connections of the past and present. TangoAmadeus also emphasizes the intercontinental exchange between Europe and Latin America. The Festival TANGOAMADEUS is hosted by Marion Jantsch & her team of passionate tangueras. Together, they are planning, organizing and realizing this annual event with the same "passion" they live and dance Tango with! Dr. med. Marion Jantsch was born in Linz (Upper Austria) in 1978, and grew up in Vienna (Austria) and Boston, Massachusetts (USA). She speaks German and English fluently, and her Spanish skills are excellent. Marion has been involved in high-level-dancing since the age of six. She started off with Classical Ballet and continued with Contemporary Ballet and Modern Jazz Dance. In 2003, Marion discovered her passion for Argentine Tango. 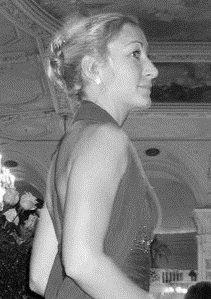 Together with her dance partner Jorge Bosicovich, she opened the dance studio "Tanto-tango" in Vienna in 2005, and started to give Tango lessons. After that, they performed and gave regular workshops in Austria, Hungary, Italy, Germany, Turkey, Luxembourg and Argentina. 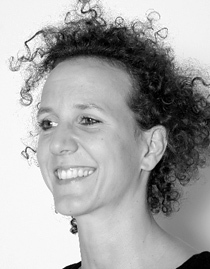 Marion founded has been in the organisational team of TANGOAMADEUS since its beginning in 2010. After Marion finished her studies of Medical Science at the University of Vienna in 2004, she participated in a Research Fellowship Program at the Massachusetts General Hospital Harvard Medical School. From 2006 on, she took part in a specialty-training program for graduate doctors in clinical radiology at the Vienna General Hospital (AKH), and has been working there as a Medical Specialist for Radiology since 2011. Heather Conrad, born 1981 in Nürnberg, Germany. She was raised bilingually (English/German) by her American parents, growing up in Germany. She also speaks Italian and French. After completing her studies as a certified speech therapist in 2004, she has been self-employed in the translation business for over 7 years now. Coming from a very musical family, she started to play the violin when she was 5. Her love for dancing first expressed itself in over 10 years of enthusiastic Salsa dancing. Now followed by the discovery of her passion and talent for Argentine Tango, she supports different campaigns and lessons, and travels to many Tango Festivals and international Tango meetings. Mag. 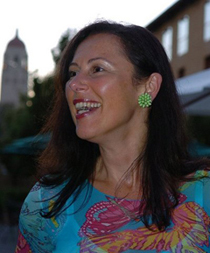 Johanna Papp, grew up in Vienna (Austria), where she finished her studies at the WU (Vienna Business School) with a degree in Business Administration. Johanna was co-founder of CASH FLOW, an at the time monthly business magazine, and has been working in management positions in the media branch ever since. During her post graduate studies she participated in SEP, an executive education program at Stanford University (California). She speaks German, English and Spanish. Johanna had been a passionate Salsa dancer for many years when she discovered the fascination of Tango and completely fell in love with it. She participates in numerous international Tango events all over Europe and found her “second home” in Buenos Aires a few years ago. Birgit Dalheimer was born in Vienna. She spent some time abroad, mainly in England, France, Spain and Argentina. She speaks German, English, French, and Spanish. Always having a passion for dance, she fell in love with Argentine Tango in Buenos Aires in 2003. The interest and love for this dance took her travelling to many different places and accompanies her until this day. Birgit studied molecular genetics in Vienna and Manchester (GB), changing from research work to scientific journalism after two years. She has been working as a science editor for the ORF radio station Ö1 since 1998.